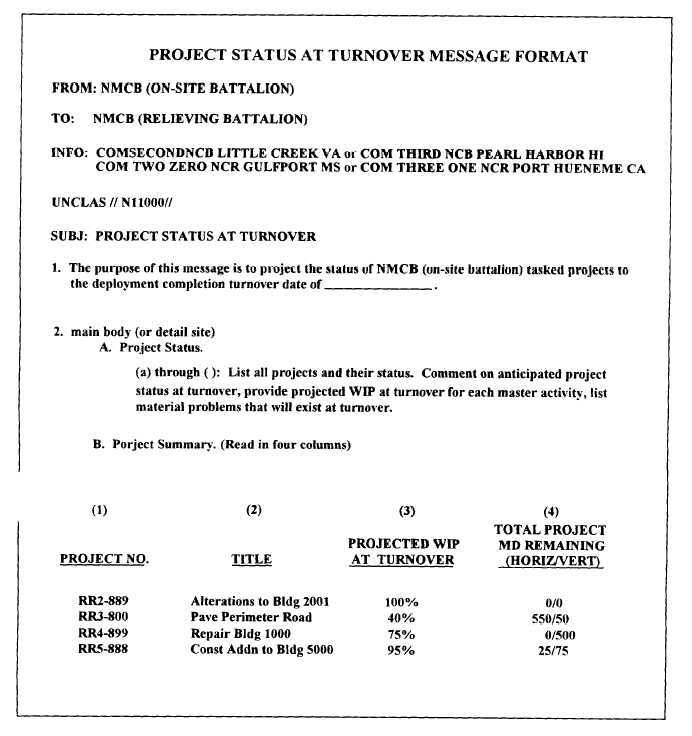 relieving battalion, 2ndNCB/3rdNCB, and the cognizant NCR with a Construction Project Status at Turnover situation report (SITREP). Figure 5-5 is the format used for this report. The purpose of this message is to project the status of each of the on-site battalion's tasked projects at the end of their deployment. The message includes specific comments on each project. This will probably be the latest information available to you, unless someone from your battalion makes a late predeployment trip. Figure 5-5. - Project status at turnover message format.